VATICAN CITY – Pope Francis, speaking on the final day of a historic summit on clergy sexual abuse, called priests and other Catholics who abuse children “tools of Satan,” but offered no concrete steps to address the church’s massive and morally damning abuse crisis. “I am reminded of the cruel religious practice, once widespread in certain cultures, of sacrificing human beings — frequently children — in pagan rites,” he added. 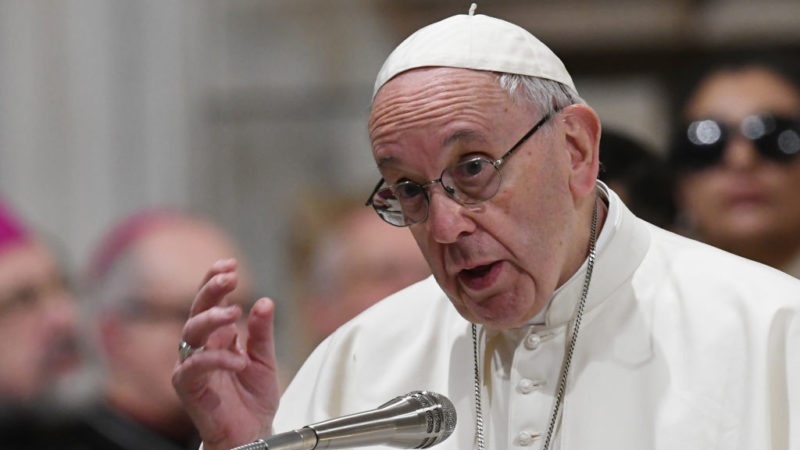 Pope Francis went on to say that even a single case of child abuse is an ‘atrocity’, stressing that the Church would address the issue with ‘utmost seriousness’. “If in the Church there should emerge even a single case of abuse — which already in itself represents an atrocity — that case will be faced with the utmost seriousness”, Francis promised. At the four-day summit, the Pope addressed 190 Catholic leaders, including 114 bishops, from all over the globe. On Saturday February 23, an African nun scolded Roman Catholic bishops on Saturday for many mistakes in handling the sexual abuse crisis, saying the Church had to acknowledge its “mediocrity, hypocrisy and complacency”. Sister Veronica Openibo, a Nigerian who has worked in Africa, Europe, and the United States, spoke with a soft voice but had a strong message for the prelates sitting before her. She directly told Pope Francis, sitting near her on the dais, that she admired him because he was “humble enough to change your mind,” apologize and take action after he initially defended a Chilean bishop accused of covering up abuse. The bishop later resigned. “How could the clerical Church have kept silent, covering these atrocities? The silence, the carrying of the secrets in the hearts of the perpetrators, the length of the abuses and the constant transfers of perpetrators are unimaginable,” she said. “At the present time, we are in a state of crisis and shame. We have seriously clouded the grace of the Christ-mission,” Openibo said.